Navaratri is a nine-day Hindu holiday that happens twice a year in the spring and fall and honors the power and grace of Divine Mother. 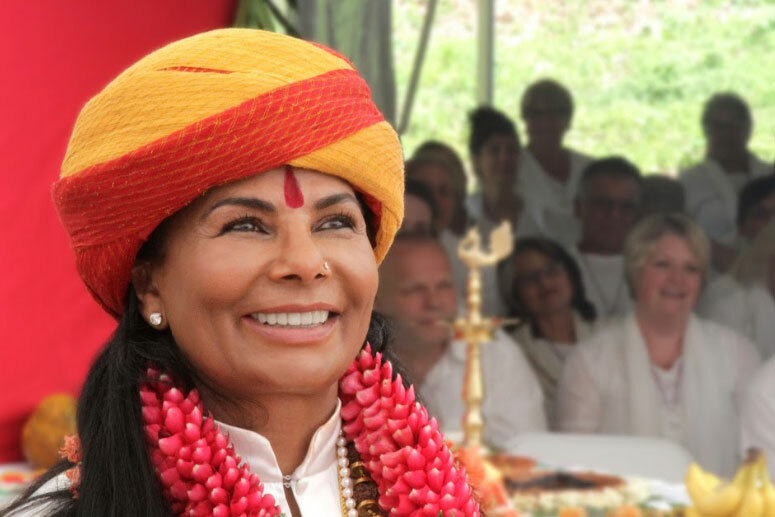 While it’s predominantly celebrated in India, Sai Maa speaks of Navaratri as a time to deepen our experience of the Divine Feminine principle that is so active during these days. Every Navaratri, Sai Maa works with the energies of Mother Divine to perform powerful planetary work to serve in the upliftment of humanity. In the Hindu tradition, on the first three days of Navaratri, Mother Divine is invoked in her form as the Goddess Durga/Kali. 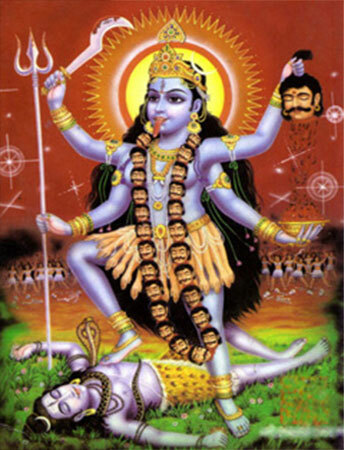 Kali represents the force of fierce compassion that removes all impurities or ego distortion to unveil the light and beauty within us. The next three days are dedicated to the Goddess Lakshmi, who embodies the qualities of abundance, prosperity, and infinite beauty. 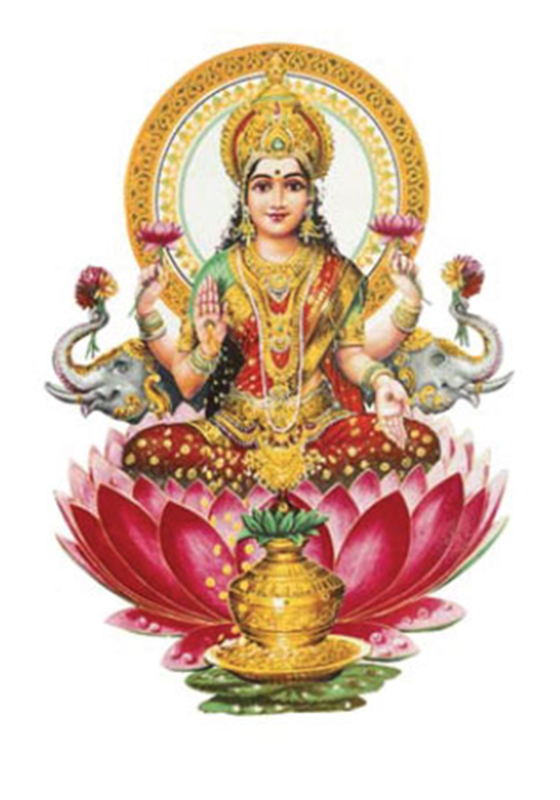 Lakshmi is invoked to fill us with the spiritual wealth and divine abundance that is our birthright. The final three days of Navaratri are dedicated to the Goddess Saraswati, who bestows the blessings of wisdom, creativity, and purity. The tenth day, which marks the completion of Navaratri, is celebrated as Victory Day, where we honor the victory of the sublime qualities of Mother Divine over any darkness or fear within us. Sai Maa creates special yagyas (sacred fire ceremonies) for the Hindu holiday of Navaratri to celebrate the power and grace of the Divine Mother and invoke vibrant living, abundance, and enlightenment through Goddesses Durga/Kali, Lakshmi, and Saraswati. Drawing on the ancient Vedic science of sacred fire ceremonies, Sai Maa calls upon the power of this Goddess trinity and activates cleansing and healing on multiple dimensions. Yagyas are an ancient Vedic science that have been practiced for thousands of years in India. Pundits (priests) chant mantras (sacred sounds) while making offerings into a fire. These different chants and offerings achieve specific outcomes. Sai Maa yagyas take place in the sacred city of Kashi (Varanasi), in Northern India, and are performed by some of the most highly revered Vedic priests and scholars of India. During the fire ceremonies, Sai Maa will activate the power of Goddess energy to activate your cleansing and healing on multiple dimensions. The time of Navaratri invites us to focus on our sadhana (spiritual practice). Through this focus, we immerse ourselves in the infinite love of Divine Mother and receive the full blessings of this sacred holiday. These yagyas offer you the opportunity to remove obstacles in your life, receive abundance, and remain focused on your spiritual enlightenment. 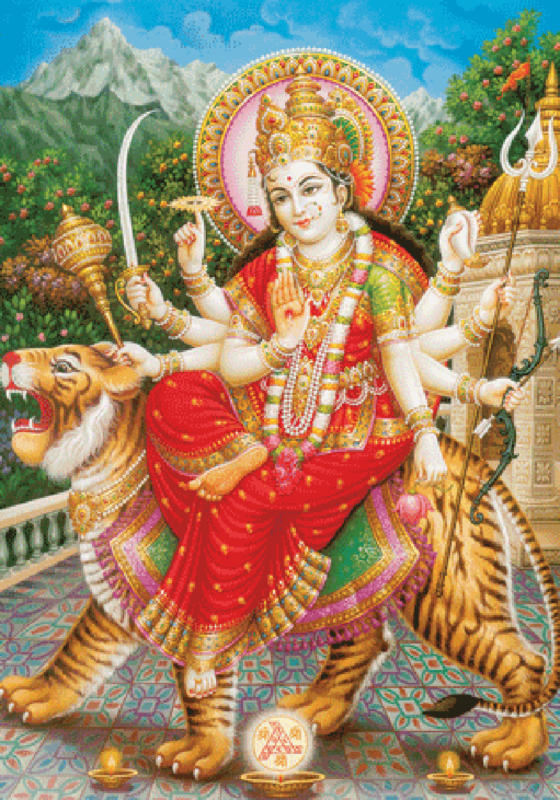 You’re invited to join in special yagyas created by Sai Maa for the sacred Hindu holiday of Navaratri, which celebrates the power and grace of the Divine Mother through Goddesses Durga/Kali, Lakshmi, and Saraswati. Sai Maa is offering three distinct sets of yagyas—each devoted to one of the three Goddesses—during this sacred holiday. 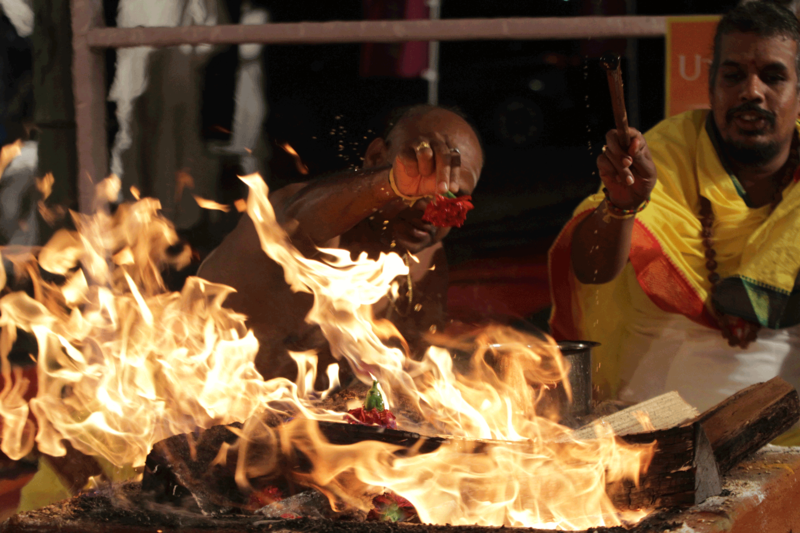 Each yagya set consists of three yagyas, with a ceremony each day. An icon of the indomitable strength of the Divine Mother, Maha Kali frees us from self-created limitations and empowers us to live a purposeful and passionate life. Register for this set of yagyas to remove obstacles in your life and be energized with clarity, passion, and vibrancy. Surrounded by the energy of Maha Lakshmi, we lack “no-thing,” for the entire world is our own creation. Register for this set of yagyas to saturate your consciousness and life with prosperity and abundance. 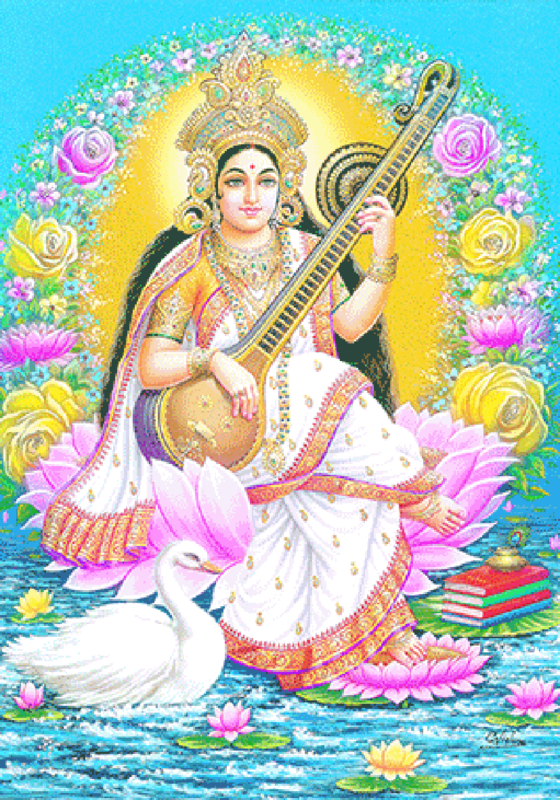 Saraswati reminds us that the pinnacle of spiritual knowledge is enlightenment and helps us maintain focus in our pursuit of education and wisdom. Register for this set of yagyas to further activate the state of enlightenment within you and further your path of education. Sponsors for the Navaratri Yagyas must be living. To sponsor a yagya for the deceased, click here.